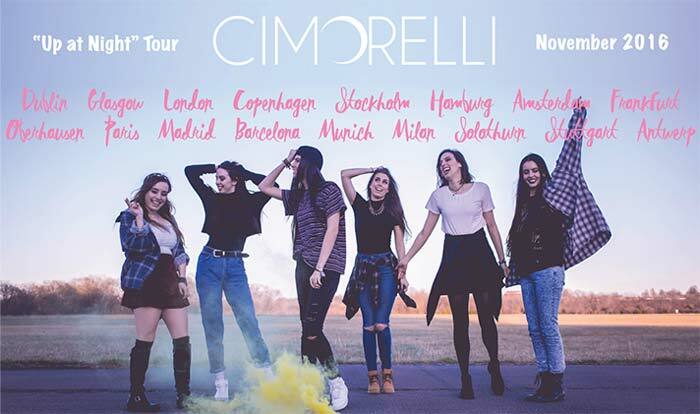 Get a once in a lifetime experience to hangout with Cimorelli before the show! *Platinum VIP Experience takes place 3 hours prior to the scheduled time of the concert. *If you are seeking an upgrade, first buy a Platinum VIP to secure your ticket. Then, provide a proof of purchase to [email protected] and WeDemand will refund the amount you have already paid. Tickets are non-refundable and non-exchangeable. (ii) a receipt and confirmation of your ticket purchase sent to your e-mail within 24 hours. Please ensure all of your details are correct so you receive your confirmation e-mail and tickets before the event.